Posted on: January 16, 2017 By: Christopher Brown, Esq. If you are convicted of a DUI in VA, you will very quickly learn that Virginia has some of the toughest DUI laws around. The state takes driving under the influence very seriously, and even a first offense carries some harsh penalties. Repeated offenses see the consequences grow, to the level of becoming a felony charge and carrying a hefty jail term and large fines. What Constitutes a DUI in VA? The legal limit for blood alcohol level (BAC) of alcohol in Virginia is 0.08%. This limit applies to motor vehicles, boats, or watercraft. Anyone registering this limit or higher will immediately face DUI charges. In addition, law enforcement can charge you with a DUI if your ability to operate a motor vehicle, boat, or watercraft is impaired even if you don’t have a BAC over the legal limit. This includes driving while under the influence of any drug, which is treated under the law in the same way as drunk driving. It is at the discretion of the law enforcement officials to determine of your behavior warrants DUI charges, even in the absence of a BAC test over the legal limit. Law enforcement uses a variety of techniques and watches for certain behavioral signs to make the call on a DUI charge. Law enforcement officials can arrest you within three hours of an accident in which you were involved on probable cause for a DUI violation. This arrest can take place even away from the accident scene and doesn’t require a warrant. Charges for a DUI in VA in the event of an accident can be very serious. Your first DUI conviction in Virginia is a misdemeanor, and carries a $250 fine as well as a revocation of your driver’s license for one year. A second conviction has a doubled fine of $500, a three-year license revocation, and can also carry up to one year in jail. If your second offense occurs within five years, there is a 20-day mandatory jail term. If that second offense occurs within ten years, the mandatory jail term is ten days. A third DUI conviction within ten years is prosecuted as a Class 6 felony. The fine for this conviction is $1000, and your license will be suspended indefinitely. The vehicle will be forfeited to the state, and there is a minimum of 90 days in jail. If the third conviction occurs within a five-year period, the penalty rises to six months in jail at minimum, possibly more based on the facts of the case. Should that third conviction occur while driving on a license that has been suspended due to a previous DUI conviction, fines can be up to $2500 and jail time from one to five years. Fourth and subsequent DUI convictions carry a one-year mandatory jail term on top of other fines and penalties including suspension of driving privileges. In addition to these penalties, Virginia law is even tougher on those who drive highly intoxicated. If your BAC falls between 0.15 and 0.20, there is a mandatory five-day jail term for first offenses, and a mandatory ten-day jail term for second offenses, on top of the regular penalties. A BAC of over 0.20 means a mandatory ten-day jail term for a first offense and a mandatory 20-day jail term for a second offense. The state of Virginia treats those under 21 in the same manner as those over 21 in a DUI case, with the same penalties; however, if you are under 21, the legal BAC limit is 0.02. DUI convictions may appear on the driver’s criminal record and not just your driving record. On top of the fines, suspensions, and jail terms, a DUI in VA will lead to the requirement for an ignition interlock device installed on your vehicle. After the first DUI conviction, the interlock device will be required on your vehicle and any vehicle you regularly drive. This is a condition for receiving restricted driving privileges after conviction. Should you have another conviction within ten years, this device will be required on every vehicle you own, co-own, or operate. If you are found in violation of the ignition interlock requirement, your restricted driving privileges can be revoked. DUI convictions can also carry further consequences depending on the situation. All DUI convictions will carry the requirement of attending an Alcohol Safety Action Program. This program will take place for a minimum of 20 hours over ten weeks, and may lead to a recommendation for further treatment or intervention based on the results of the program. This treatment will be mandated at your own expense. Drivers who are convicted of a DUI while a person aged 17 or under is in the vehicle will face additional consequences in Virginia. For a first offense, fines will increase to a minimum of $500 or up to $1000. There will be a mandatory five-day jail term. For a second offense with a juvenile in the car, there will be a requirement of 80 days of community service on top of all of the other fines and jail sentences. If you are caught driving while your license is suspended for an alcohol-related violation, the vehicle can be impounded automatically for 90 days, and an additional 90 days if you are convicted. If you are involved in an accident during which you are found to have a BAC over the legal limit or be otherwise impaired, you may face even more severe consequences. Drivers convicted of a DUI in an accident may be subject to restitution fines of up to $1000 for emergency responders arriving on the scene. A DUI conviction when involved in an accident may lead to increased criminal charges stemming from that accident. If others were injured or killed as a result of the accident, the DUI could increase the severity of charges against you for those injuries or fatalities. A charge of involuntary manslaughter can be brought against you in the event that you are responsible for a fatality in a DUI accident. In Virginia it is illegal to refuse a Breathalyzer test when you have been arrested for a suspected DUI and law enforcement requests it. You may refuse the roadside breath test, but this will likely result in an arrest, and the required test after arrest. There is no option to request a blood test in lieu of the breath test. Should you refuse the test, and have a previous DUI or breath test refusal on your record, you will be arrested and charged with a Class 2 misdemeanor. If you refuse a breath test with two DUI convictions or breath test refusals on your record, you will face Class 1 misdemeanor charges. Either way, a conviction will result in a three-year suspension of driving privileges, during which you will not be eligible for restricted driving privileges. When you have been pulled over for a suspected DUI, remember that you have the right to refuse to incriminate yourself. Asking questions about your alcohol consumption and field sobriety tests can both constitute incriminating yourself, and as a result you can refuse. Bear in mind that this refusal doesn’t change the fact that the officer can arrest you, and likely will based on that refusal. However, it does reduce the amount of evidence against you to be used in court. It is also important to remember that while you can refuse a field sobriety test, you cannot refuse BAC tests at the police station after you have been arrested. Evidence obtained from this test can and will be used in court. Your behavior and any signs the officer may have witnessed that indicate intoxication, either as the reason to pull you over, or after the traffic stop, can also go on record and be used in court. The best thing you can do to minimize the chances of a conviction is to be cooperative with all legal requirements, but remain aware of and wield your rights. Like any other arrest, a DUI charge gives you the right to request an attorney, and in this case you should seek an attorney who is experienced in handling DUI law. Virginia’s DUI laws are very complex and designed to be very hard on those who are convicted. Only an attorney can provide you with concrete legal advice; be sure to speak to one before you make any decisions, even based on this advice. 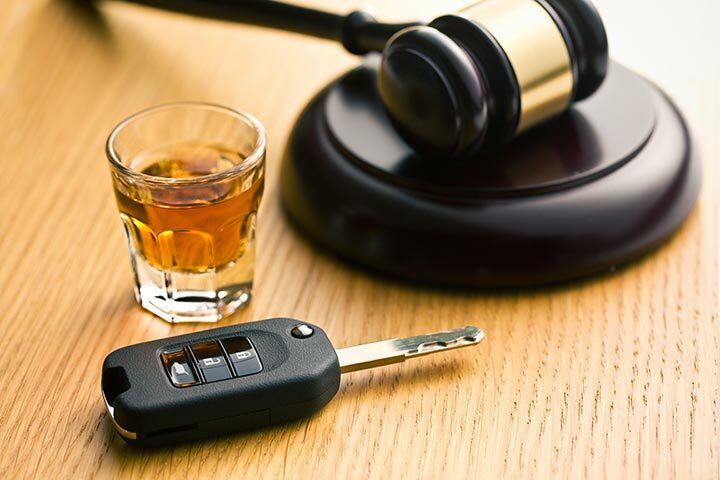 Virginia’s DUI laws are tough for a reason – they are designed to reduce the risk of property damage, injuries, and fatalities that occur as a result of intoxicated drivers on the road. Driving after you have been drinking is never a good idea, and the penalties are in place to create a strong deterrent. The best way to avoid a DUI charge is to plan for alternate transportation rather than driving when you have been consuming alcohol; you’ll spare yourself a lot of trouble and protect the lives of others at the same time.